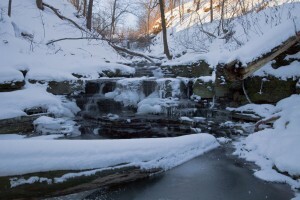 Middle Glendale Falls measures 3.3 metres (11 feet) in height and its width is 3 metres (10 feet). 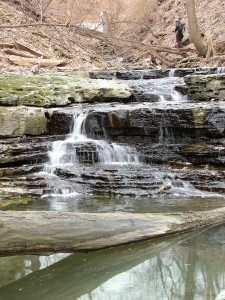 It is a cascade style waterfall. 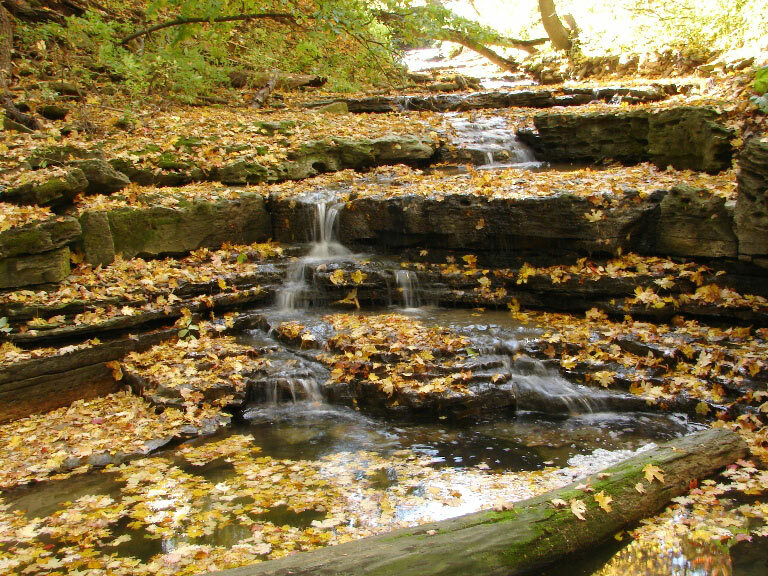 When Phil Armishaw and Joe Hollick were visiting Lower Glendale Falls on October 5, 2008, they found Middle Glendale Falls. 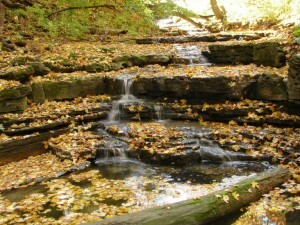 This waterfall is located on the Bruce Trail, about 50 metres downstream of Glendale Falls (Upper Glendale Falls) on Montgomery Creek. Nadeem Paracha and Joe Hollick had visited this site in 2004 and not included in their list at that time, as it did not appear to be a cascade or waterfall due to all the loose rocks and rubble on it. 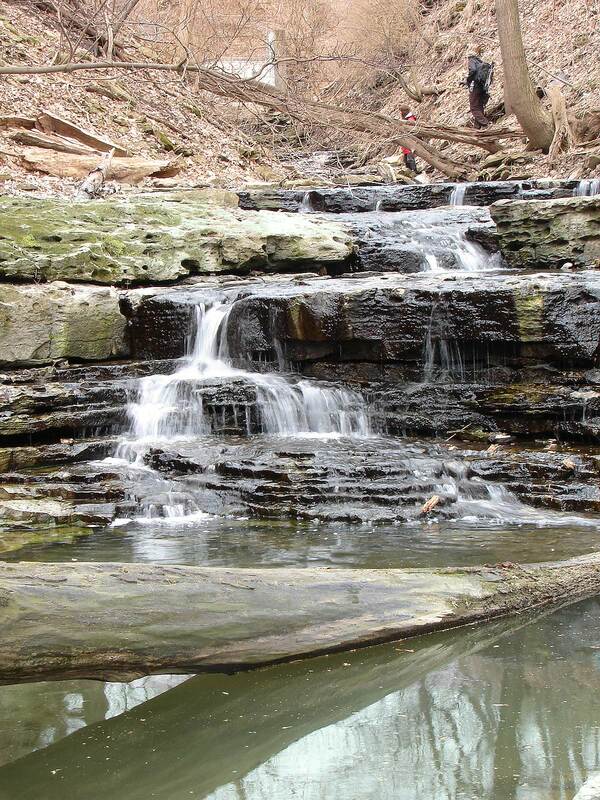 All the loose rocks have since been washed downstream to expose this lovely cascade. To reach Middle Glendale Falls take Centennial Parkway and exit at Mud Street West. Turn right onto the Paramount Drive at the intersection which is opposite Winterberry Drive. Then turn left onto Kingsview Drive and park just before the end of the road. Follow the trail beside the road to Upper Glendale Falls, then go around 50 metres downstream.